Jason is a fully qualified Master Builder capable of carrying out new builds, extensions, loft conversions and refurbishment works, shop alterations, restaurants, bars, offices, schools, colleges and homes....ANY SIZE, ANY VALUE. He gives a full Professional service from start to finish including Site Surveys, Planning, Building, interior Fittings including re-wiring and Plumbing to External works such as Roofing, Driveways and Landscaping. 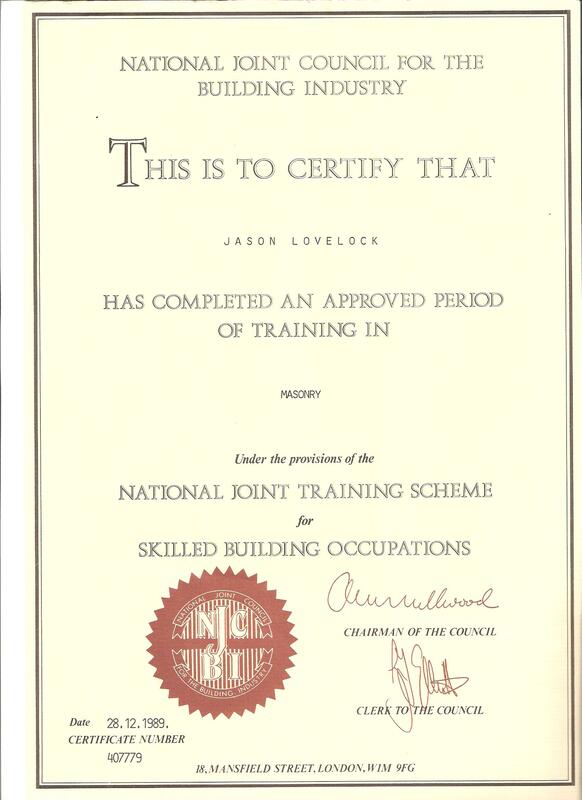 Jason trained and worked with Pearce Construction where he won Building Employees Federation Cup 1988 at North Devon College. He is a multi Skilled builder in general Building work, Stone Masonry, Plastering, Carpentry,Joinery, Plumbing, Mobility Access and Landscaping. Including Turfing, Garden re-design, tarmacing, paving and patios. 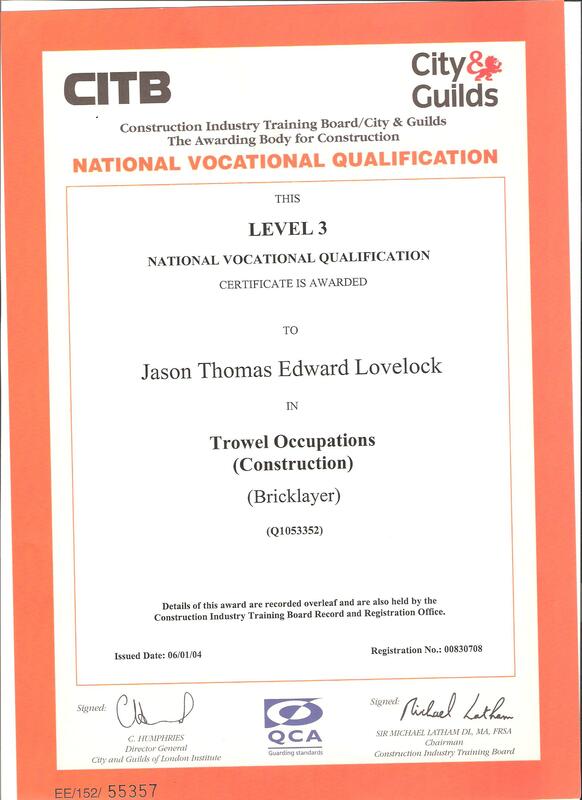 He is qualified in NVQ Level 3 City and Guilds in Brickwork with the London Institute, NVQ Level 3 Trowel Occupations (Construction) Brick work, Advanced Craft certificate in Brick work also Skilled Building certificate in Masonry. 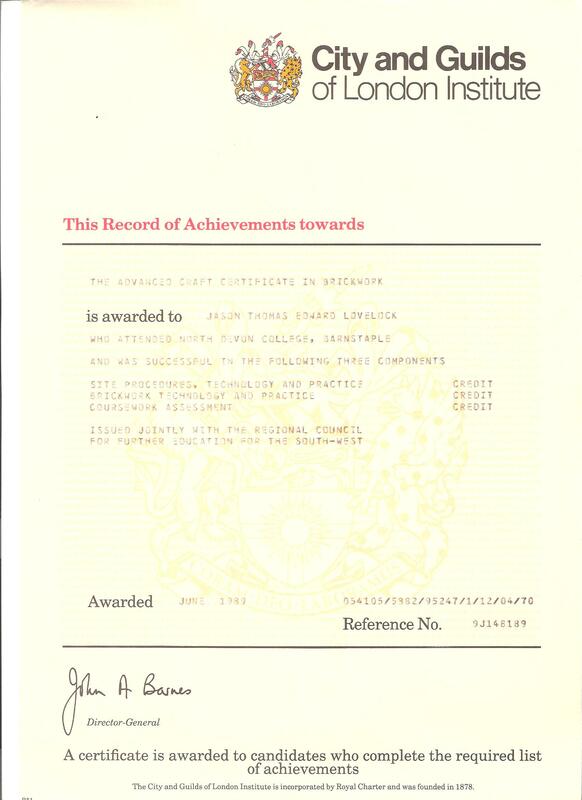 Over 30 Years Experience in the construction trade. 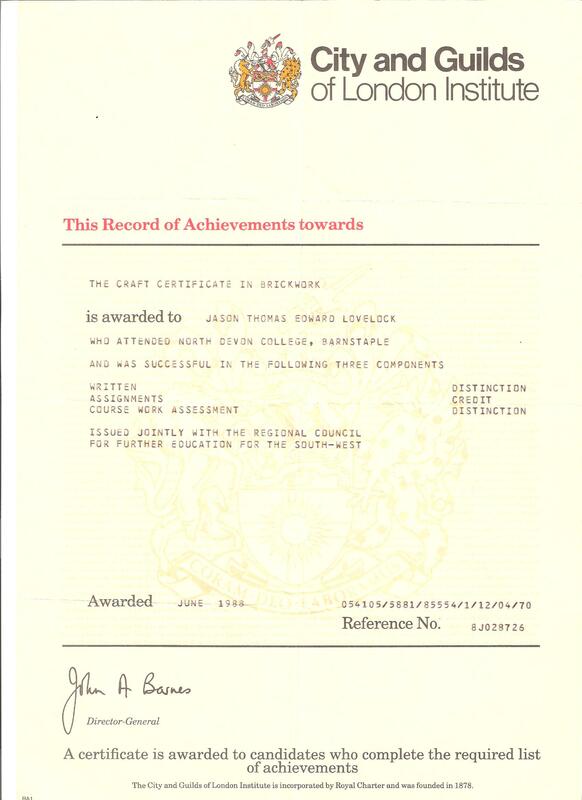 Jason is Accredited with "Care & Repair" Working together with North Devon District Council and Devon County Council who offer financial aid for Mobility care and assistance. We are based in Braunton and provide our services in the surrounding areas of North Devon.